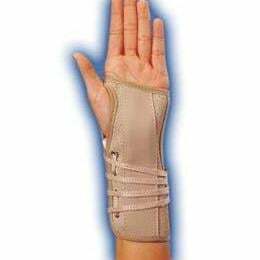 Designed with a removable aluminum insert that provides thenecessary rigidity to stabilize the wrist and forearm following minorfractures, sprains, or after cast removal. Made of a resilient anddurable suede material. Can be for left or right handed people.